Lisboa is designed to meet the basic needs in a conference room. Connecting the existing projector and sound system to the Lisboa podium is easy. In case there is not any projector, sound system, or network connection. 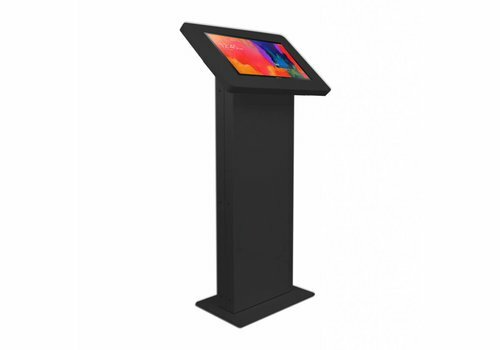 Display floor stand suitable for monitors and touch screen tablets. 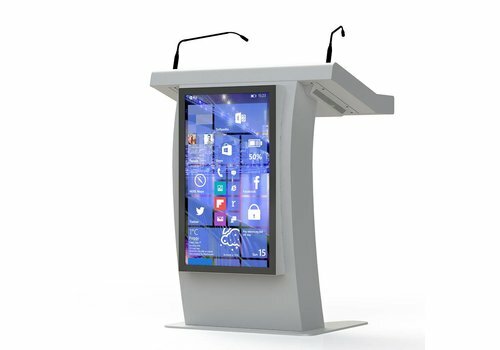 The column is manufactured from sturdy and durable steel, the casing is made in acrylic.